Once largely a status symbol, with today’s active lifestyles people now choose home swimming pools for their numerous benefits. 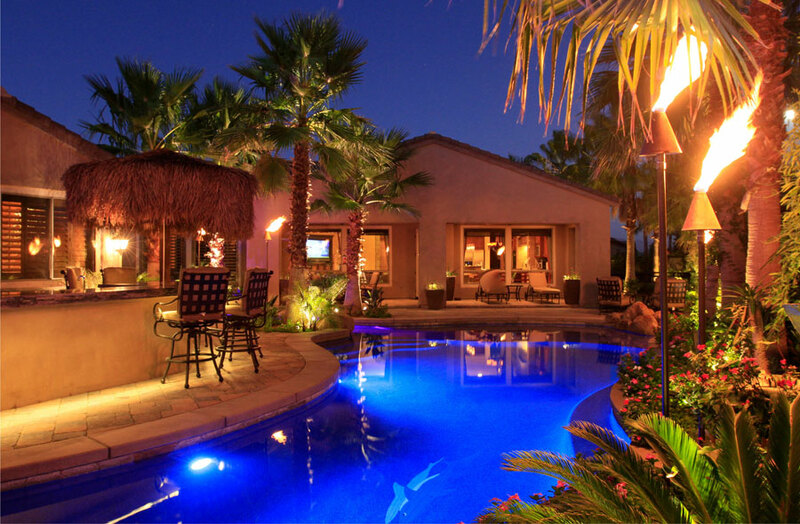 Leisure, exercise, entertaining, style, you can have it all by building a backyard pool. It’s often the best use of a small backyard, and smaller dipping pools and swim spas are growing in popularity. Large or small, a stylish luxury pool can be a welcome extension of the architecture of your home. With Southern California’s climate we can enjoy our outdoor lifestyle, including swimming, all year round. A well designed pool can be the focal point of activity, as well as a backdrop for quiet relaxation and social gatherings. 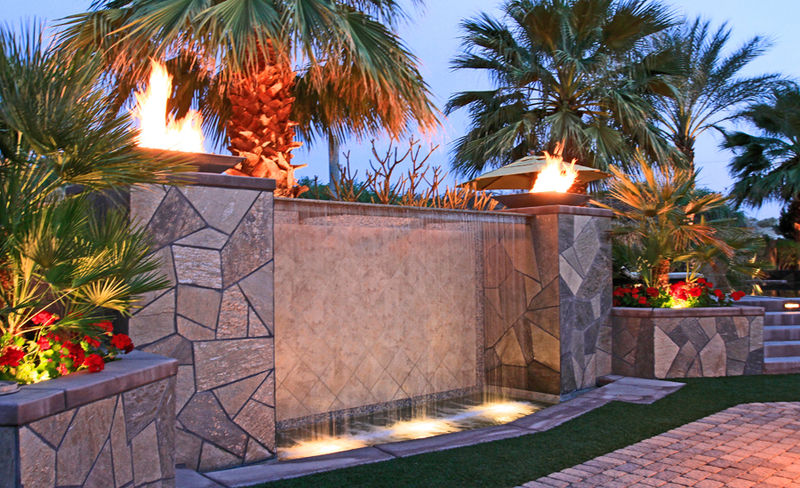 With swimming pools, patios, and fire features you can have your own private resort. A quiet serene dip is a relaxing get away, an oasis from tension and pressures of work and the hassles of daily life. Today it’s vital for everyone to remember that reducing and releasing stress is vital for your health. 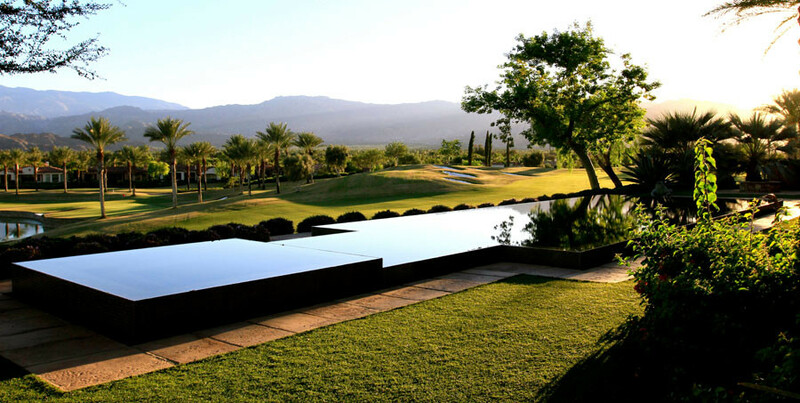 Exercise, as well as simply sitting outdoors appreciating beauty of elegant pool, water features, and landscaping will improve your mental and physical health. Even tanning, in moderation, has its benefits. A small lap pool can be a great adjunct to a home gym. Swimming targets many muscle groups and also builds coordination, balance, flexibility, lung capacity, and circulation. It’s an ideal low-impact alternative for elderly and disabled who can’t otherwise exercise; building a backyard pool can provide convenient daily physical therapy. Outdoor pools just naturally bring people together. It’s almost a cliche: California is known throughout the country for parties and cookouts around the pool. Beyond swimming, pools provide lounge areas and are a decorative backdrop. 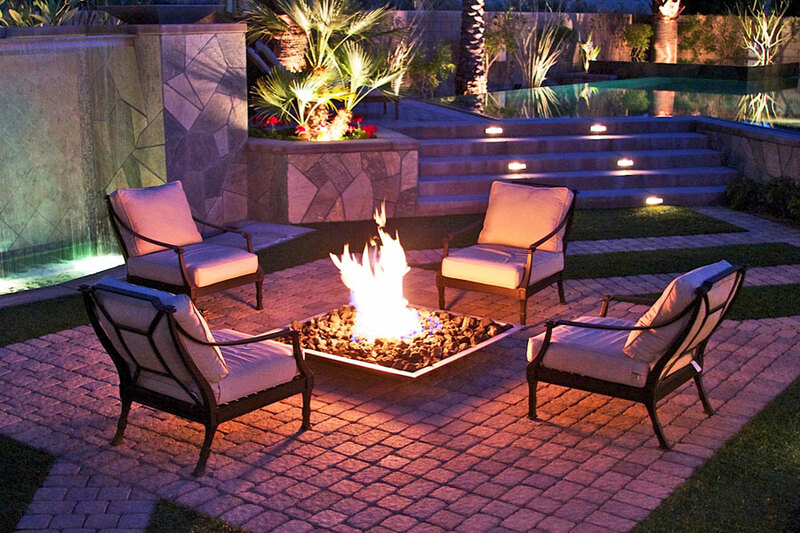 They can dominate your outdoor space, or be a small enhancement leaving plenty of room for patios, BBQ areas, and landscaping. Lets get practical. You may have heard that backyard pools don’t increase the property value, and that’s true in many cases. But for high-end homes in areas where most houses have a swimming pool, lacking one will make it more difficult to sell and get the price your want. 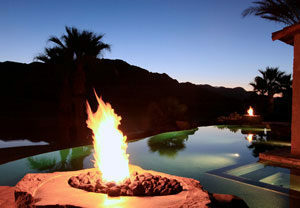 Houselogic.com reports that in many locales homes with pools sell for as much as 7% higher. It’s also eminently practical to consider the value of your own enjoyment and personal benefits. Whether a modern overflow pool or one with natural rock and fountain features, building a custom pool to match the style of your home will complete your ideal lifestyle picture. Our company is the local leader in combining unequaled designs, with quality materials, superb workmanship, and unparalleled customer service. When adding a pool we’ll balance aesthetics and function. Azure has been in business since 1989; that’s over a quarter century of customer satisfaction. 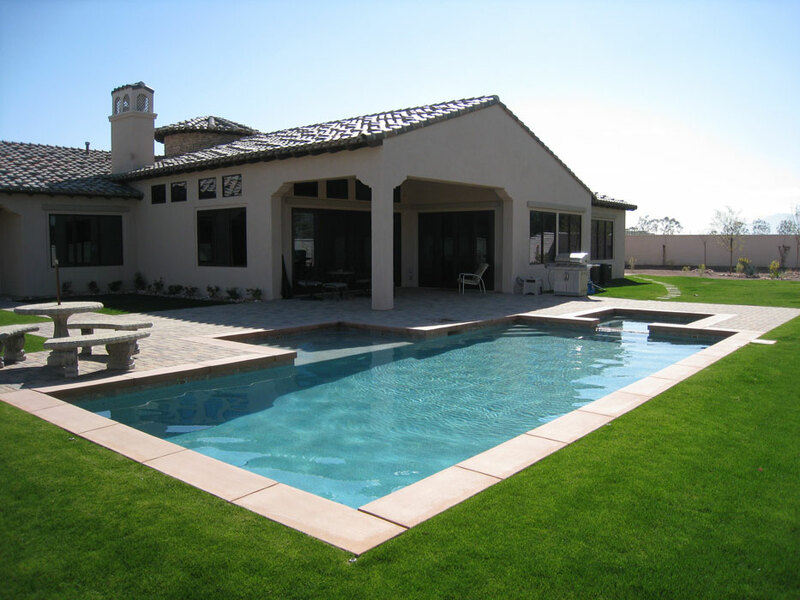 Our experience includes hundreds of pools, from small courtyard spas to major installations. We’re experts in dealing with special spaces and special conditions. Azure is fully licensed, insured, and bonded.